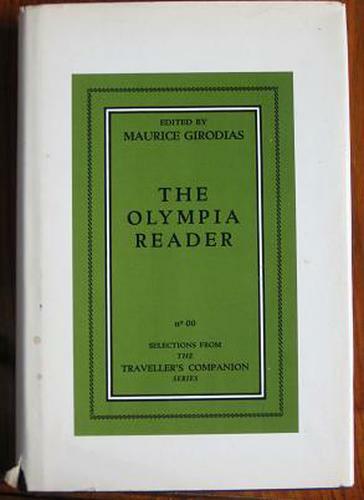 June 12, 2015 June 12, 2015 / Steve M.
Although it is difficult for me to recall the exact year, I do remember the day, as it was my birthday, and from my closest friend I received a copy of the Olympia Reader, this was either 1983 or 1984, this book fascinated me, not so much the excerpts from the Olympia titles but the story behind the press and the range of outrageous, weird and wonderful stuff it had put out. 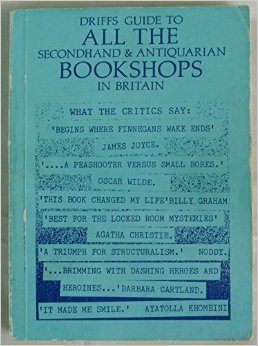 Fairly quickly, I started to look for titles in local bookshops and charities, it did not take long to discover that these books were hard to find, and in the mid eighties no one in the book world was much interested in them, with a little research, of the old fashioned kind, (not a huge amount of WWW activity in those days), I found a copy of Pat Kearney’s Olympia Hand-list which at least informed me just how many of these books I could look for. It also introduced me to the fact that there was at least one person as crazy as me already on the job, although with a very significant head start. 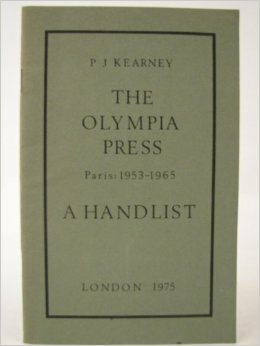 As it became clear very quickly finding any of these books in your standard second hand bookshop was pretty much a non starter, as a consequences in the early days at least, I used to hunt, often with my good friend, the one who gave me the Olympia Reader, and as he pops up quite a lot in future adventures in book hunting I shall call him “T”. Commencing with local charities and gradually spreading our net further afield, we explored towns and villages looking for any shop, market or other location that might have second hand books, also going to Jumble sails and Flea Markets, lots of time spent wandering around with no specific address to aim for. Around this time I found and purchased a copy of Driffs Guide, this was an amazing, personalised directory to the second hand bookshops of England Published by Driff Field, an eccentric book runner of some notoriety, I recall bumping into him on many occasions, often in Any Amount of Books in the Charing Cross Road, where he appeared to have some kind of residency, if my memory serves me well, I cannot remember Driff wearing anything other than a white colonial suit and fedora in summer, with his sole means of transport a bicycle, for more on this character search Driffs Guide on Google. Eventually my hunting took me back to Herne Bay, where effectively this journey began, when as a boy , as previously told in these pages, I went on bicycle to hunt for Marvel Comics, so in the 80’s I found myself back in the same shop where I used to buy my comics, admittedly in a slightly different location but run by the same owner, who was happy to talk about second hand comics , but became very elusive about Olympia Press books, or Readers as he called them. It soon became obvious that there was some sort of coded way of gaining access to these books and that it would take time, although there was no justification for such caution in the 80’s, the DB shop owner was firmly embedded in the past and would not easily open up based on a single visit, but more of this later. It was on my first return visit, to this shop that I espied a copy of a book dealers catalogue which I was allowed to purchase, something of a minor miracle, This I believe was Delectus Catalogue Number 5, put out by Michael Goss, The good fortune of locating this slim volume and my subsequent contact with the author, would ultimately lead to my going from a handful of titles gathered in provincial England, to becoming an international book runner with a much broader remit to hunt out clandestine publications in many languages across over a hundred years of history, and also to be where I am today with my collection. In-between are the book hunting expeditions, all over the UK, and Europe, which will, I hope entertain you in my future blogs.